Extra Flexibility for Better Control. Whether you're dipping for panfish or making finesse presentations to bass, you need the superior performance of smooth casting Trilene XL. Why? It's simple - Trilene is stronger and handles better. It's high performance, low memory formulation delivers outstanding handling characteristics. It won't kink. Won't coil. Won't let you down. And no other line's as strong. 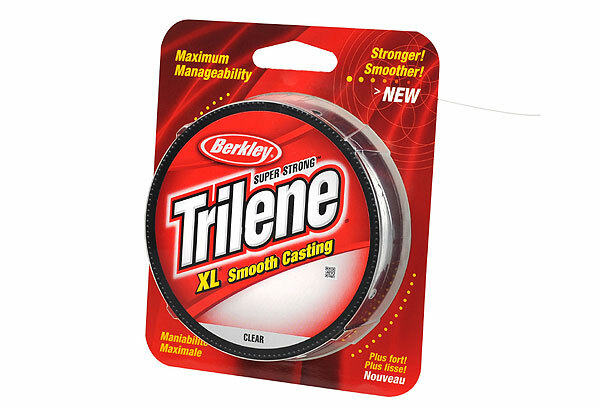 Trilene XL tests up to 30% stronger than Stren in tensile strength comparisons. No wonder Trilene is America's favorite!